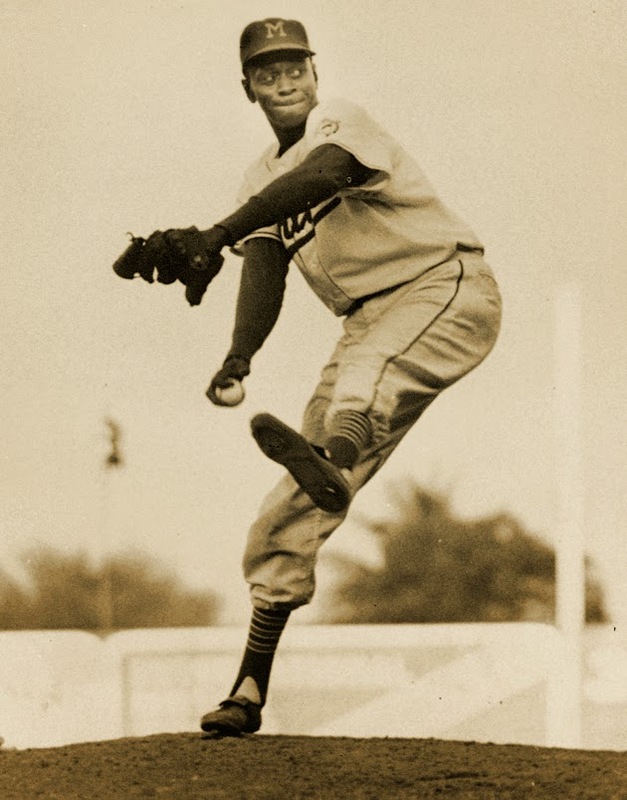 The whirling wonder Satchel Paige was still knocking them down as he entered his 50s as a member of the Miami Marlins. The Marlins were a AAA club in the International League operated by Paige's long time supporter, Bill Veeck. Recently video has surfaced of Paige pitching with the Marlins from Labor Day in 1957, when he spun a shutout against the Havana Cubans. Below is the video from the Wolfson Archive, showing Paige not only pitching, but making his way to the plate as well. Rare footage indeed of the legendary hurler. 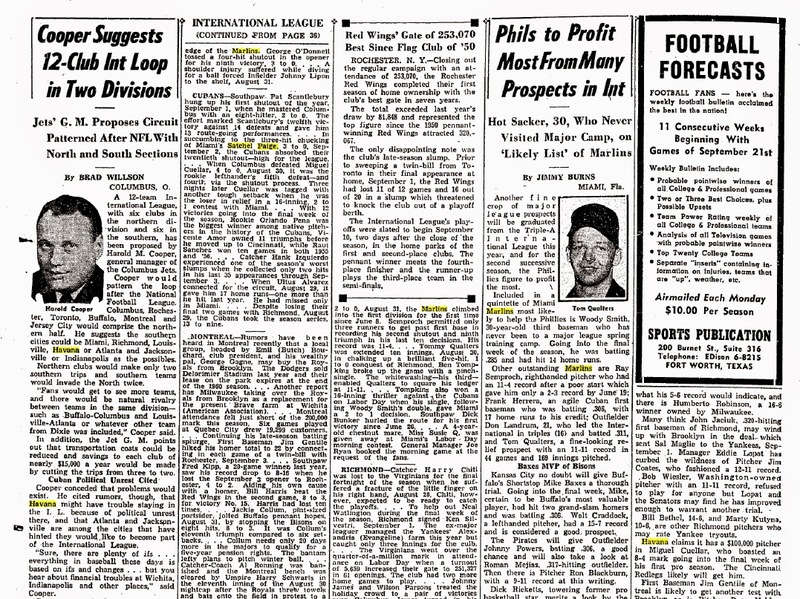 You will also find the September 11, 1957 issue of The Sporting News mentioning Paige's shutout of Havana.